The Dark Knight Rises, the concluding chapter in Christopher Nolan’s Batman trilogy, invades theaters this Friday. After the success of the previous two films (particularly The Dark Knight), Rises is easily one of the summer’s most anticipated films. Nolan has done a masterful job of reinventing Batman by removing him from the predictability of a campy, slapstick comic book world & placing him in a multi-layered story to the backdrop of a gritty realistic world. Reading this retrospective made me love this series on a deeper level as well as made me even more excited for the upcoming release of The Dark Knight Rises. I would have loved to quote from this post, but quoting it & taking a said quote out of context will not do the post justice; as it’s told in such a way that flows naturally from one aspect to another. In addition to being a great preparation for the release of The Dark Knight Rises, this retrospective is an insightful look on themes & character foils established in this highly regarded saga. 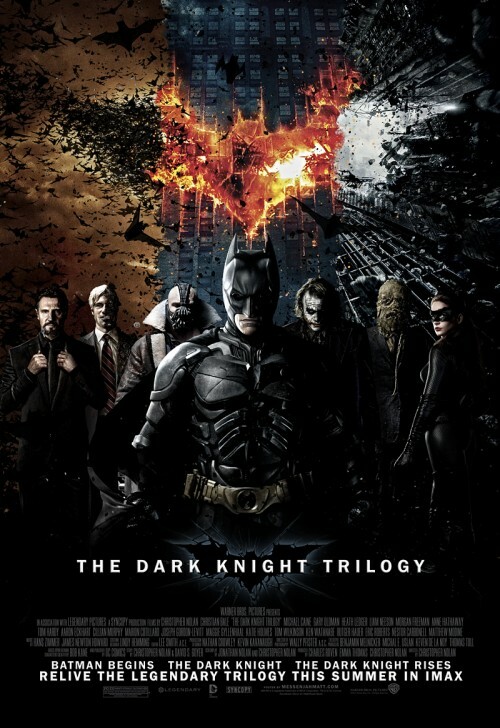 The Dark Knight Trilogy: A Retrospective is certainly a must read for Batman fans and/or film enthusiasts. If you have a moment, check it out now.